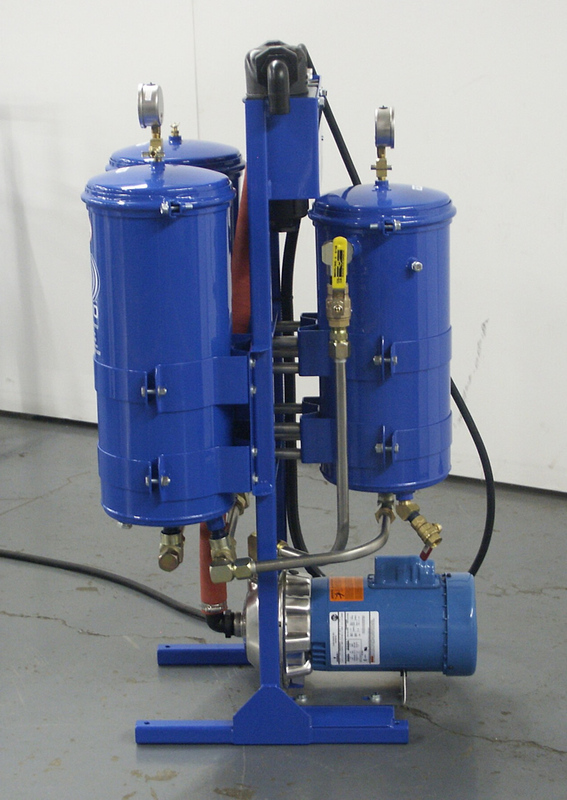 Product image of our Batch Oil Recycling Systems. 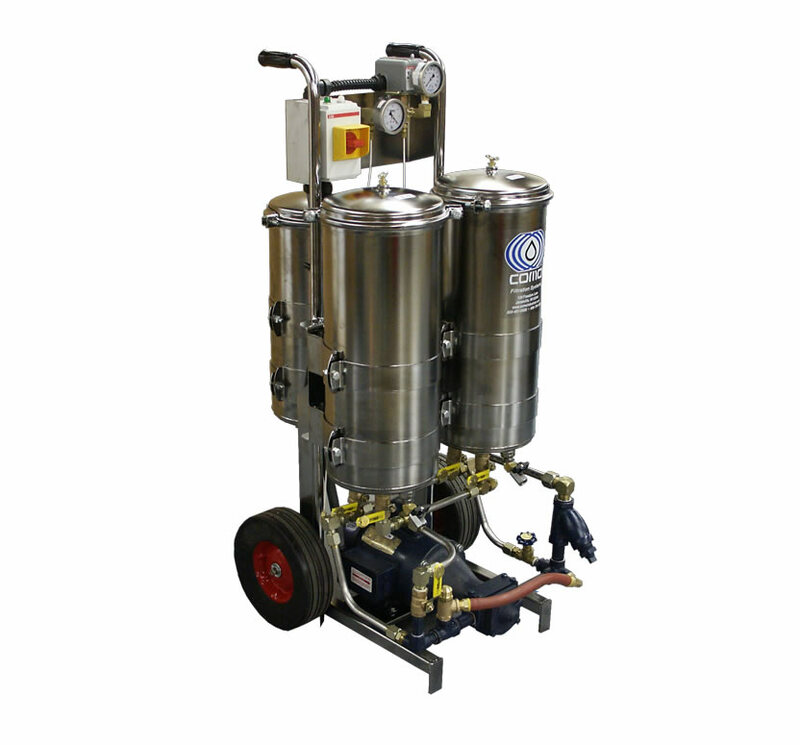 The COMO Model 4000 Oil Recycling System is a High Performance Batch System, designed with the versatility to recycle virtually any type of industrial oil and engineered for many years of dependable trouble free service. 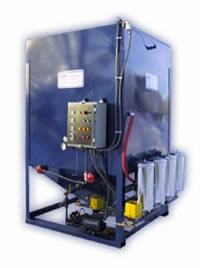 Water and/or particulate contamination can cause serious problems with industrial oil. 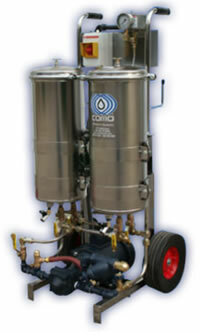 Water contamination in oil produces an emulsion, which speeds up corrosion and causes metal deterioration. Particulate contamination can accelerate wear on vital parts, i.e. 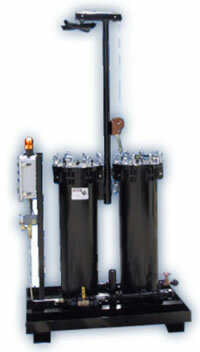 pumps, bearing, gears, valves, seals, etc. 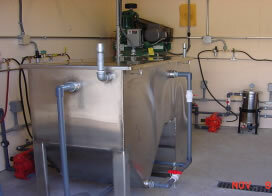 Cleaning up water and/or particulate contamination in oil will decrease downtimes, labor costs and disposal costs.